The four-time F1 champion is gearing up for another title defence with the first race just over a week away. Hamilton was on form in testing in Barcelona and hopes to put on another big display this season. But, taking a minute to reflect, he revealed his biggest inspiration and what drives him on for more success. “What’s driven me my whole life is the will to succeed,” he said in a promotional video on Twitter. “I owe everything to my dad. He sacrificed every little bit of his time for me. “You have the potential to be amazing. I challenge you. Dare to be different. Dare to be great. 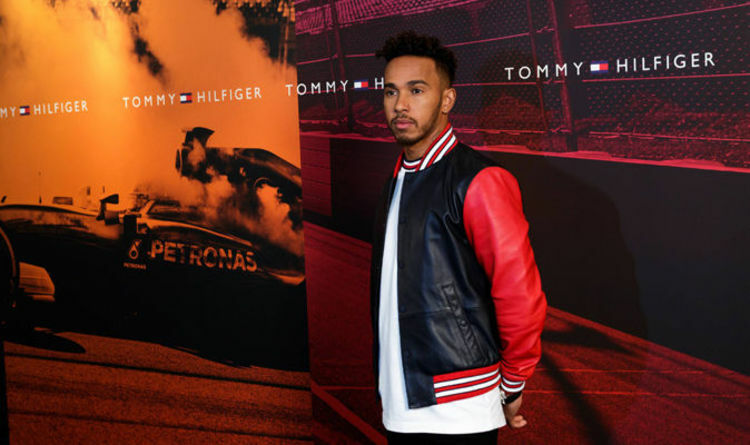 He has teamed up with Tommy Hilfiger to become their new ambassador and recorded a video with supermodel Gigi Hadid. She is seen picking him up on a track and taking him for a spin before Hamilton gets behind the wheel. Hamilton will go into the new season as favourite ahead of Sebastian Vettel, Daniel Ricciardo, Max Verstappen and Fernando Alonso.